Do you want to decrease your screen brightness? Have tried all the ways but failed? 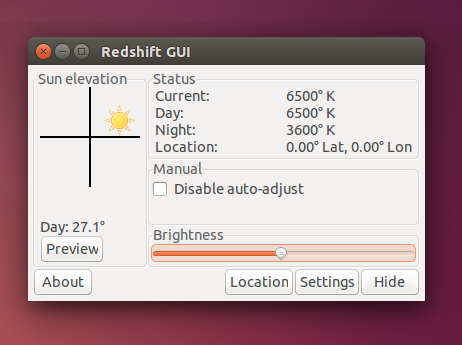 Use RedshiftGUI to dim your screen. 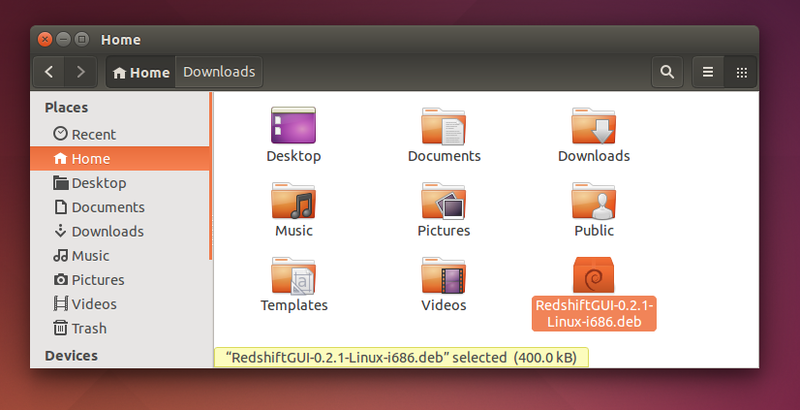 I always recommend RedshiftGUI to Indonesian Linux users as a "final combo" when installing graphics driver or upgrading Linux kernel brings nothing to their screen brightness. 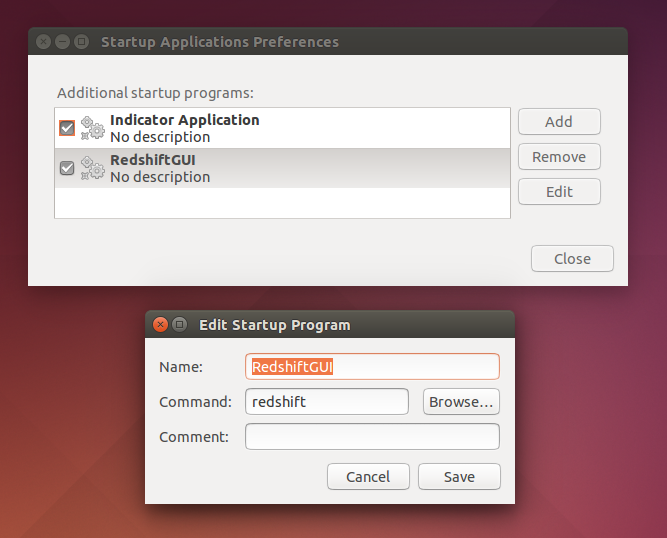 I will show you the steps to install, dim screen, and set RedshiftGUI to Ubuntu startup. 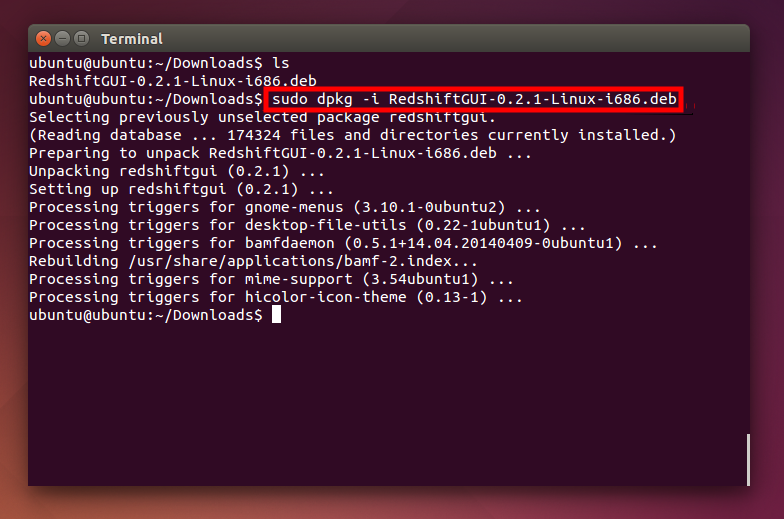 Download RedshiftGUI DEB package from https://github.com/maoserr/redshiftgui/downloads. Choose Linux 32 bit or Linux 64 bit package. Ignore all else. Download into your Home folder. Type your password. Don't wait for asterisk sign. No asterisk inside Terminal. Wait until dpkg finished the installation. Slide the slider to left, so the brightness decreased. You decide where. You can close the ReshiftGUI window. Open Startup Applications from menu. Once opened, click Add button. Type in Name box, RedshiftGUI. Type in command, redshiftgui. Press Add. See picture below. Try to relogin or restart to take effect. RedshiftGUI is actually an open source software to change the color of your screen to match your environment automatically. It was not intended to change the brightness. But in the reality, Redshift is so useful to do it. Redshift is licensed under GNU GPL version 3. Redshift is a software created by Mao Yu. You can visit Redshift Sourceforge project or Github project to contribute.